One night in October 2017, as a fast-growing wildfire burned near Napa, California, Pete Gavitte and his first mate, paramedic Whitney Lowe, flew continuous helicopter flights to save as many people as they could. An eighteen-year veteran with the California Highway Patrol, Gavitte wore night vision goggles to find people fleeing the fires. At one point, he saw residents throwing their belongings into their cars, jumping in, and heading down Atlas Peak Road, the only way out of the rural community. “We could see this huge, three-mile-and-growing line of fire coming toward all these folks that probably couldn’t see it,” Gavitte said. He shined his searchlight on drivers to get their attention and prompt them to stop. Over the next seven hours, he and another team in a second helicopter flew in winds gusting up to 70 miles per hour, racing to extract people from the burning hills. Lowe said that, in a rush to get everyone out of harm’s way, the helicopters dropped people off and departed again in just 45 seconds. Among the later rescues was a group of six vineyard workers who spoke no English. By the end of the night, the two helicopter crews saved 42 people, five dogs, and a cat from the wildfire, which over the next few days would kill 21 people and destroy 3,500 homes and businesses. 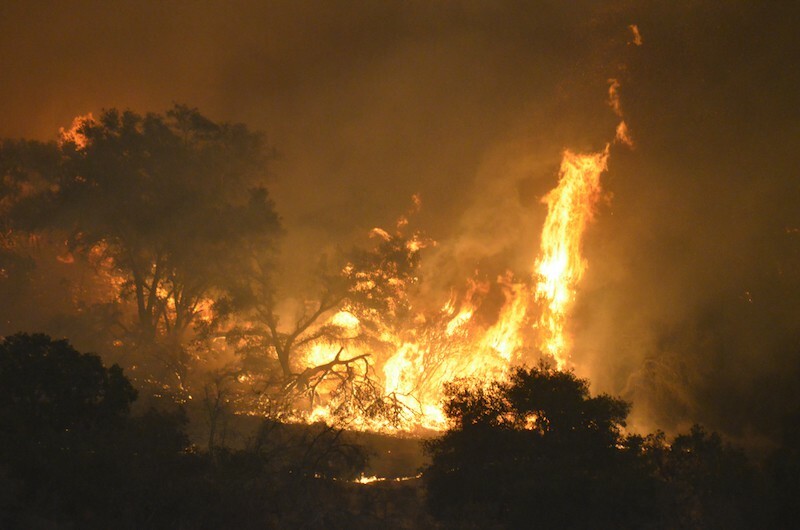 In June 2018, Cal Fire determined that electric power lines and the failure of power poles were partially responsible for causing the North Bay fires. Our aging, decentralized electric grid now poses a serious and ongoing threat. After years of prolonged drought, forests and the buildings near them are vulnerable. A spark from one malfunctioning piece of electrical equipment can start a wildfire that consumes large areas of forest land and whole towns. Because our power grid is aging and highly vulnerable, other natural disasters, such as floods and hurricanes, are causing extended power outages across the country. In California, earthquakes can also cause massive destruction, including grid outages. To reduce the threat of grid outages, now is the time to upgrade our electricity system from one that is based on centralized power plants that burn fossil fuels and transmit electricity over long distances to one that is based on small-scale, decentralized Advanced Energy Communities (AECs) that run on clean local energy — like the one the Clean Coalition designed as part of its Peninsula Advanced Energy Community Initiative. Important work like this is the focus of a new book about green jobs, The Great Pivot: Creating Meaningful Work to Build a Sustainable Future. In addition to building AECs and moving to low-carbon mobility systems, we need to create a circular economy, reduce food waste, and restore nature. The Great Pivot describes 30 projects in these five areas that will create millions of jobs while building a clean energy economy, addressing climate change, and reversing the trend of mass species extinction. It’s compelling to use job creation as the angle to advocate for resources to decarbonize and dematerialize our economy. Although the Bureau of Labor Statistics’ unemployment rate tells us that only 3.8% of Americans are unemployed, this official statistic is misleading, counting only those people who actively looked for work in the past four weeks. A better number to consider is the number of people who are not in the labor force, which now includes 37.5 million Americans aged 25-64. Between outsourcing, automation, the gig economy, and low levels of employee engagement, the work world is in crisis. In the face of current efforts to automate many functions in our society in the near future, we need to figure out what kinds of jobs we want people to be doing. There is so much work that needs to be done to build a sustainable future. The good news is that many green jobs cannot be outsourced or automated. The financial sector will play an important role. Financiers would like more opportunities to help build a sustainable future, but there aren’t enough business plans or shovel-ready projects in which they can invest. 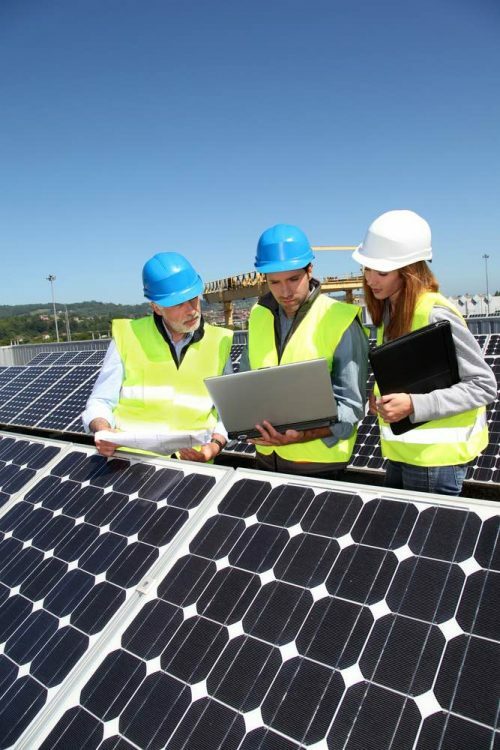 As a society, we must work harder to incubate more new businesses that will work on the projects we need: retrofitting buildings to generate as much electricity on-site as they use, bringing resilience and a host of other benefits to communities with Community Microgrids, installing electric vehicle charging infrastructure, and much more. Supporting more aspiring entrepreneurs to develop investment-worthy business plans will help us replicate and scale the work that needs to be done. 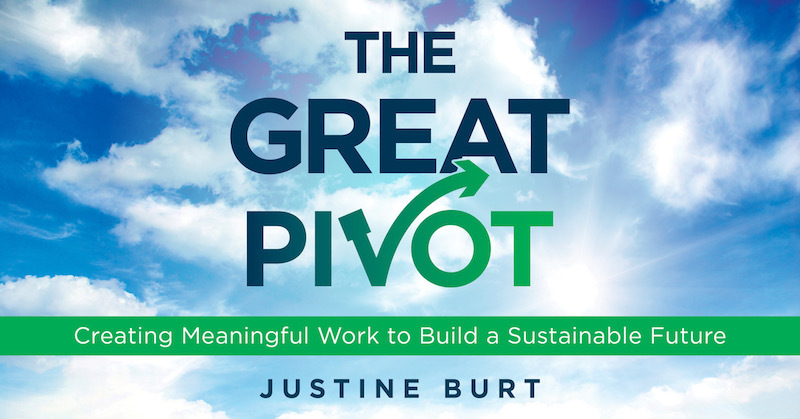 The Great Pivot connects the dots between the crisis in the world of work, the sustainable future that needs to be built, the financial sector’s desire for more sustainability projects to invest in, and the legions of people who want meaningful work. When we draw a line between these dots, a picture of the green jobs of the future emerges. 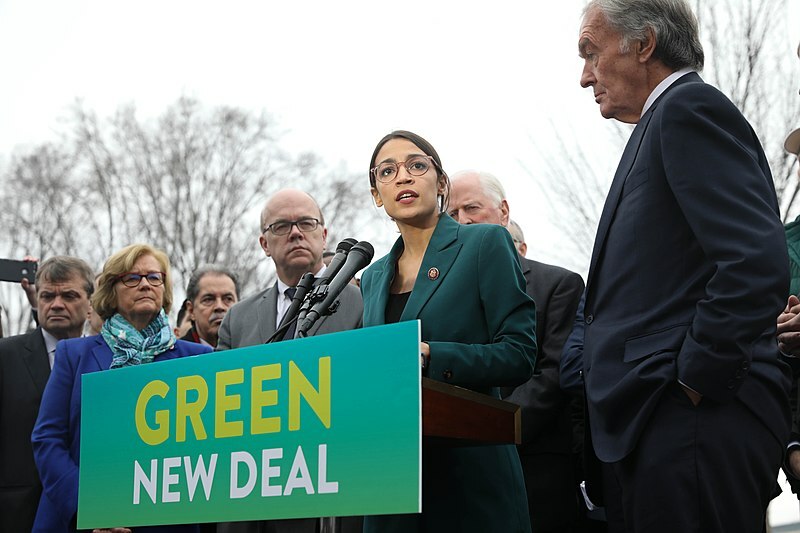 Representative Alexandria Ocasio-Cortez released the Green New Deal Resolution in February 2019. This resolution provides the broad-brush strokes of a framework for a Green New Deal with mentions of 100% renewables, energy efficiency retrofits, and zero-carbon transportation systems. Now, we as a society get to define the details of the Green New Deal. The Great Pivot lays out proofs of concept for programs, policies, and funding that policymakers can use to facilitate green jobs creation so that aspiring entrepreneurs, nonprofits, and the public sector can get to work.